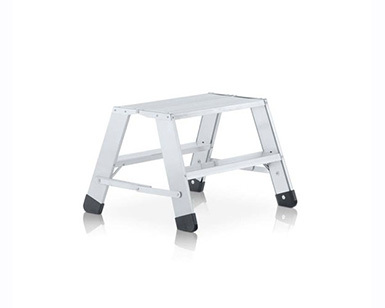 Extremely non-slip and comfortable: Folding work platform with R13 platform surface. 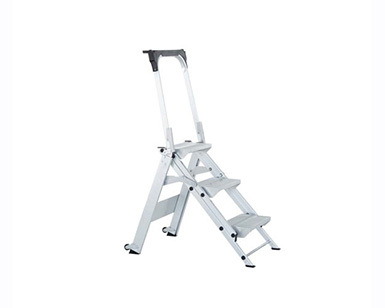 Platform surface consists of extremely non-slip PVC granulate on a soft PVC substrate with joint-friendly cushioning effect. The platform surface is very easy to clean and to replace if necessary. Also available with wooden surface as standard version. 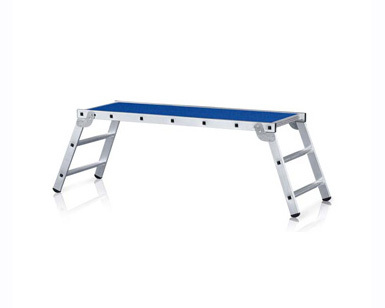 Platform dimensions 1.70 m x 0.60 m.
Total permissible load for the platform is 300 kg – which means it can be used by two persons. 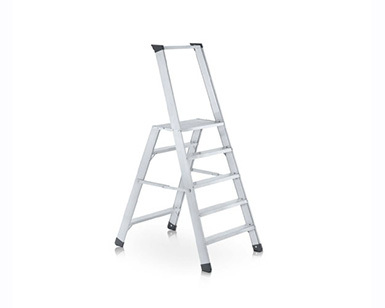 Comfortable access via 60 mm-deep aluminium alloy rungs.